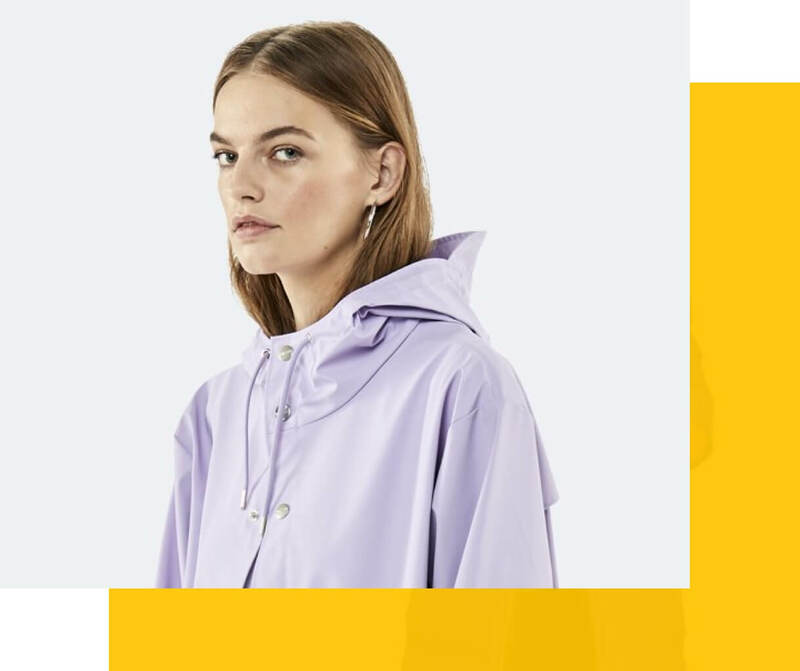 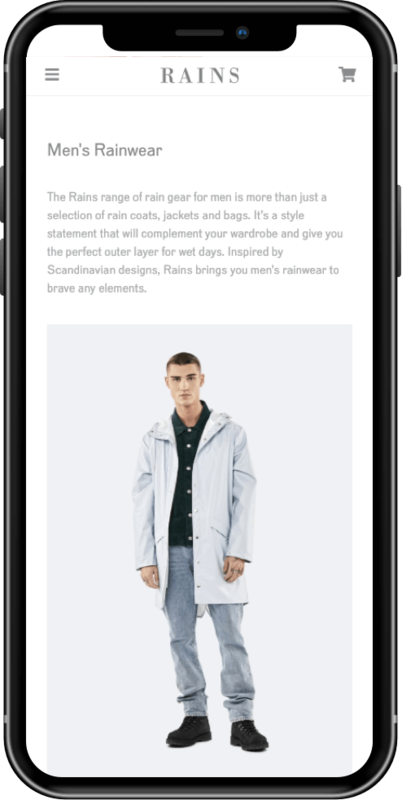 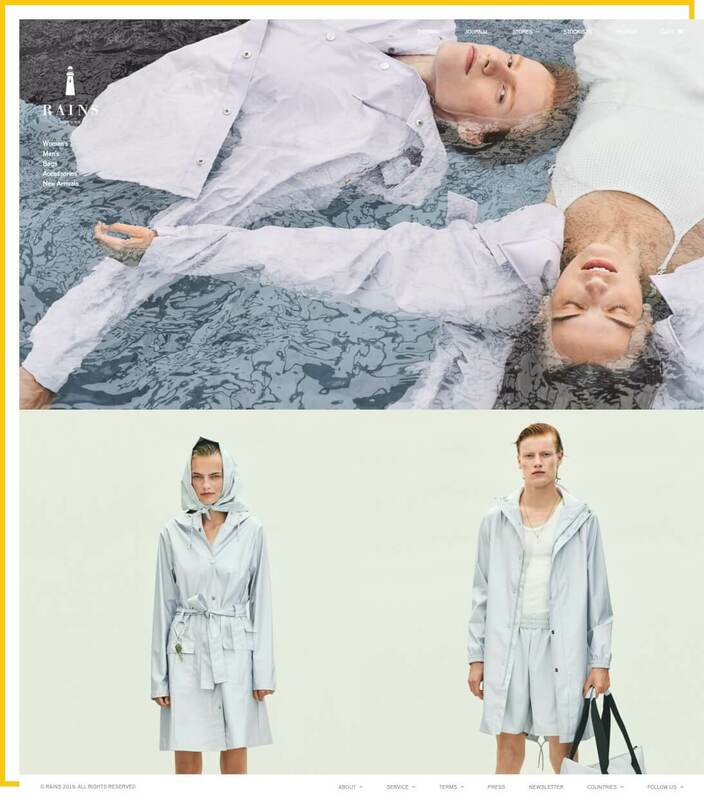 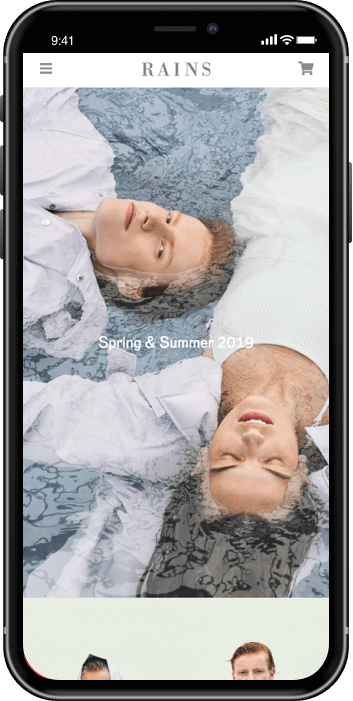 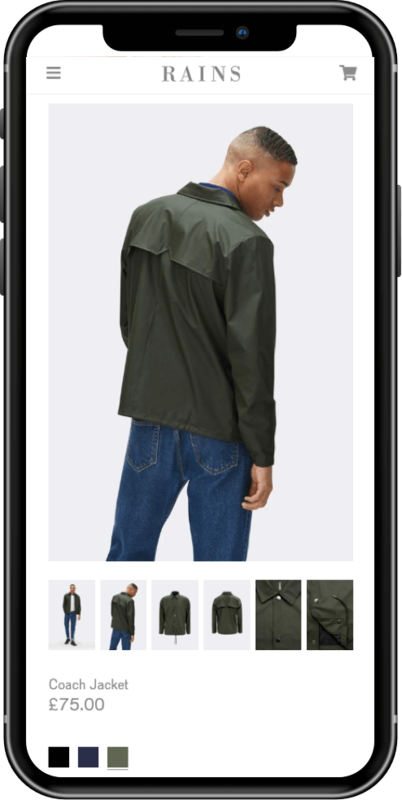 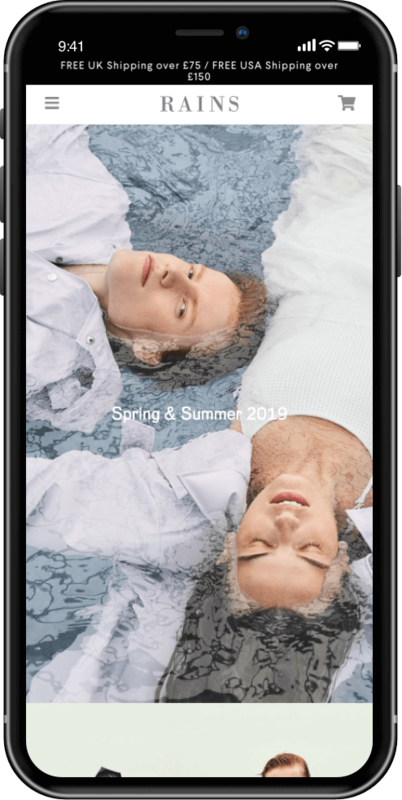 High-end Danish rainwear company, Rains, were in search of a bespoke site redesign so their web presence would match the impeccably high standards of their products. 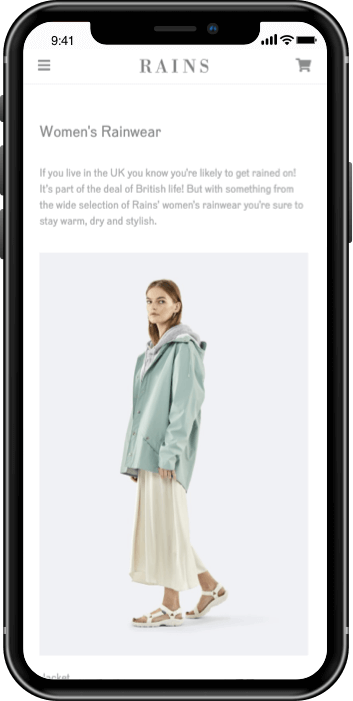 Founded in 2012, Rains took rainwear to a new level, taking a classic raincoat and adding Scandi style and design. 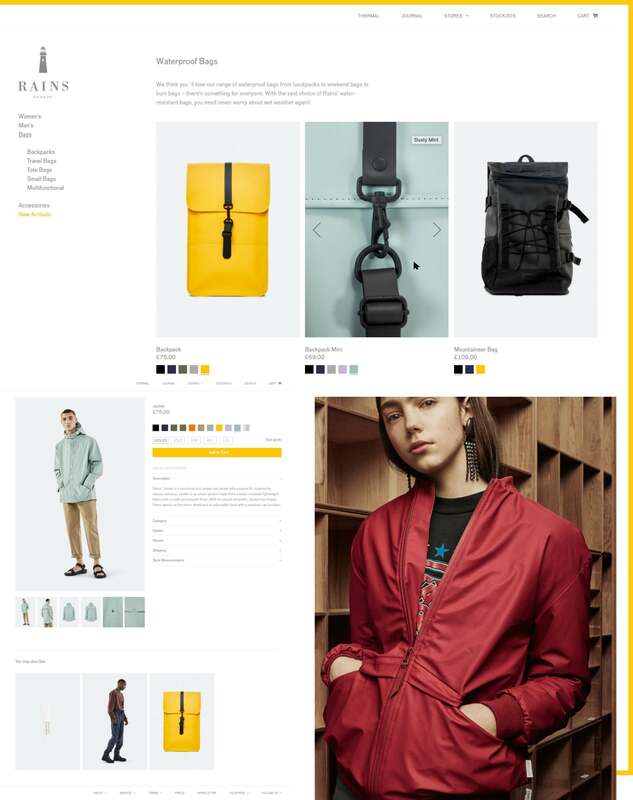 They are now well known as a cult brand offering a full range of waterproof outerwear, bags and accessories. 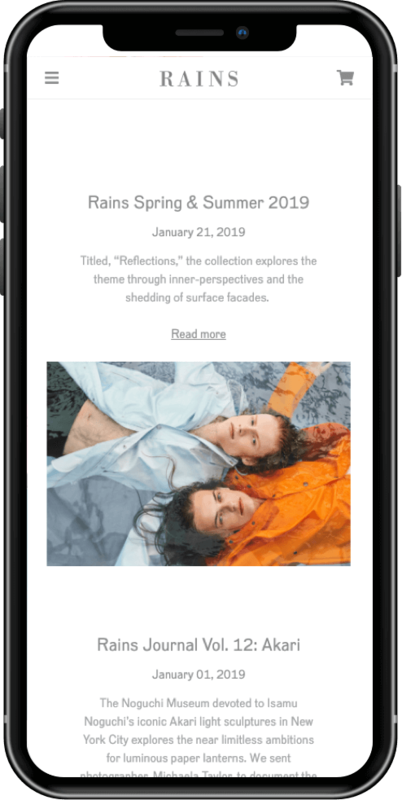 We implemented functionality which meant one of the homepage slides is an auto-play video, to really show off Rains’ products and the company’s aesthetic. 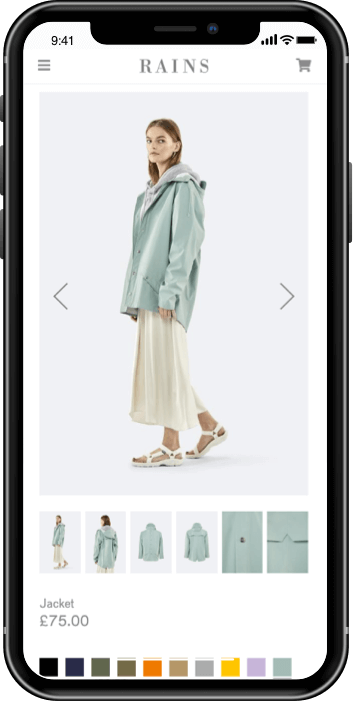 As well as looking beautiful, we also implemented some clever functionality: the site reads the visitor’s IP address and redirects them to either the main site, Rains Japan or Rains Norway, giving the user the experience most appropriate to them.